Dr. Chris Ahmad has achieved surgical excellence and has shared the pathway to achieving mastery no matter what field you choose. Dr. Ahmad has had the tremendous privilege of caring for elite athletes. In addition, he has worked with professional musicians, talented chess players, chefs, and business icons. All of them have achieved mastery using universal principles similar to Dr. Ahmad’s approach to surgical mastery. In his book SKILL, Ahmad shares the secret tools that anyone can use to take their talents to the highest level. 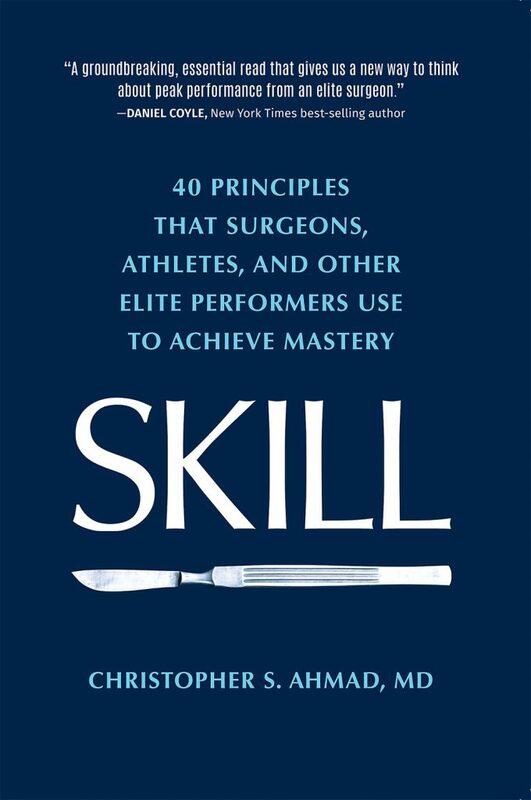 For more information on SKILL: 40 Principles That Surgeons, Athletes, and other Elite Performers Use to Achieve Mastery, or to place an order, please visit www.chrisahmadmd.com.